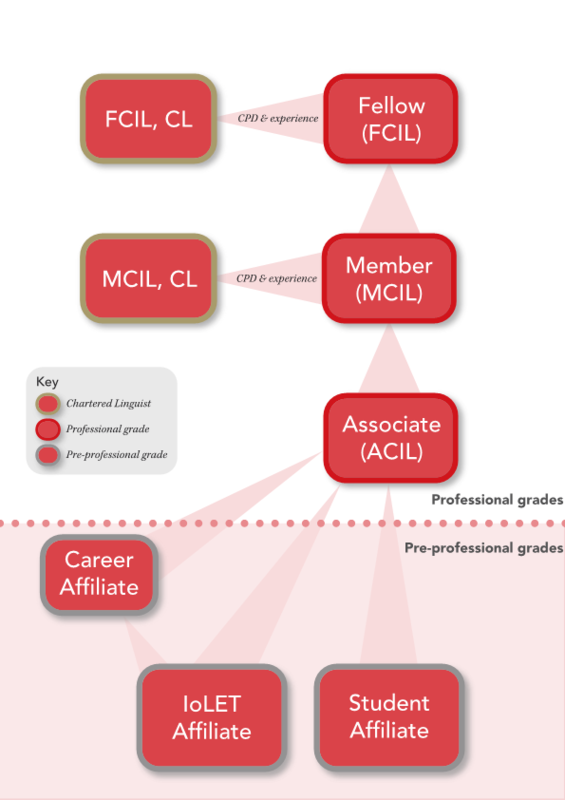 Before introducing the pathway, CIOL carried out a rigorous 10-month review of its membership model and, while it caters well for the professional linguist through its three professional grades (Associate, Member and Fellow), a new entry point was needed to encourage linguists preparing to enter the profession to join the organisation and take advantage of the benefits of membership throughout their studies and early on in their careers. Career Affiliate grade - for anyone considering a career using their foreign language skills, and those who have limited experience, who do not yet meet the entry criteria to join a professional grade. A key objective of the new membership pathway is to align Chartered Linguist (CL) registration more closely with CIOL membership, achieved by removing the prerequisite of being a Member or Fellow for at least two years. The new membership grades have been given the go-ahead by CIOL’s Council and come into effect from 1 September 2016. An article previewing the new membership pathway appears in The Linguist, issue 55,2, and is reproduced here.